Quick Hits: Derek Stepan trade value, AV’s comments on the team, and Beukeboom getting promoted? Photo courtesy of MSG Photos. With the Stanley Cup Finals underway (Game 2 tonight on NBC), there isn’t a lot to talk about with the Rangers until the offseason rolls around. Apart from European and College free agents, not much action has happened and there are just rumors flying around right now. After a much needed day off following back-to-back games with travel, the Rangers were back on the ice this morning prior to Sunday night’s home game against the Detroit Red Wings. In the last game against Toronto, Captain Ryan McDonagh was elbowed in the chin by Leo Komarov, who was suspended for three games. The injury to McDonagh came less than two weeks after he sustained a concussion against the Flyers. There’s an infestation of injury bugs in the New York Ranger locker room. 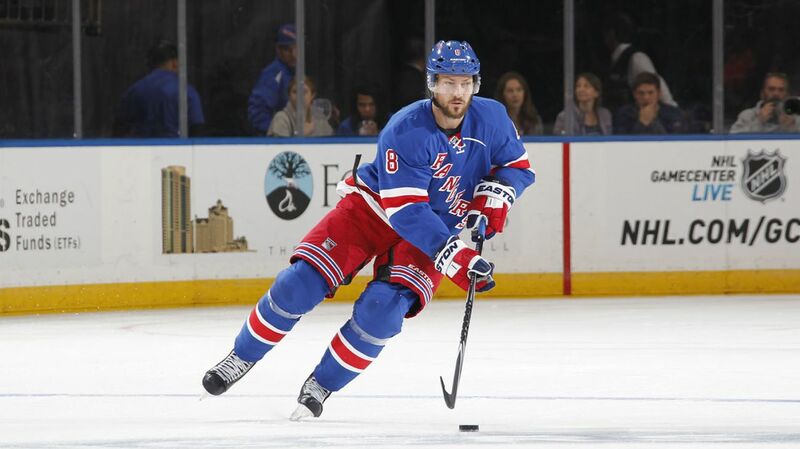 Just three games after learning that Derek Stepan would miss upward of a month due to broken ribs, the Rangers announced that Kevin Klein will miss the next 2-3 weeks with an oblique strain. Buchnevich has been excellent with Severstal of the KHL, playing on the top line as one of the leading scorers. Buchnevich has six goals and 10 assists in 23 games. Photo courtesy of Andreas Hillergen/AFP/Getty Images. Subscribe to The Ranger Zone!